Retro Bride sell quality yet super affordable vintage inspired wedding and bridesmaid dresses for Australian brides. Vintage Inspired Wedding, Bridesmaid & Evening Dresses. 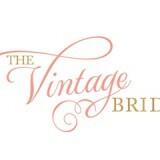 Gorgeous Vintage Wedding dresses, Accessories and headpieces. Let us share The Vintage Bride love with you.